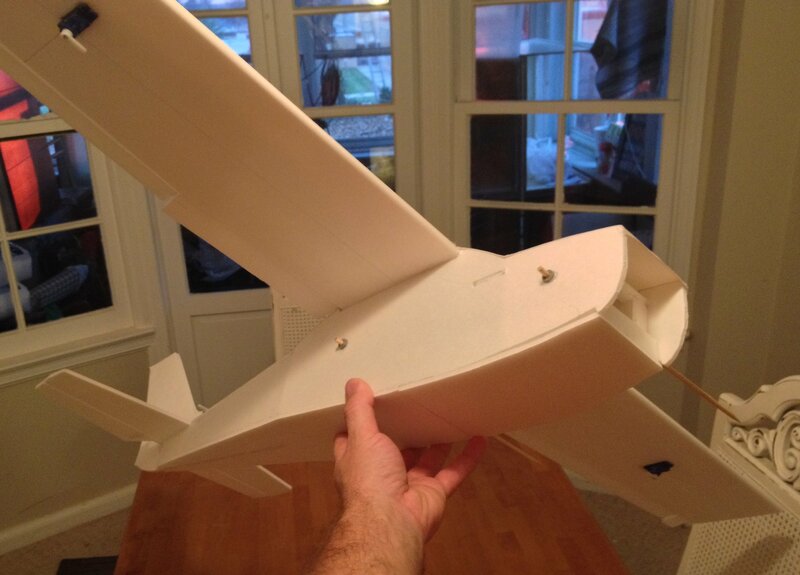 I'm building a Cessna 152 swappable from plans I got off of the hippocketaeronautics.com website. 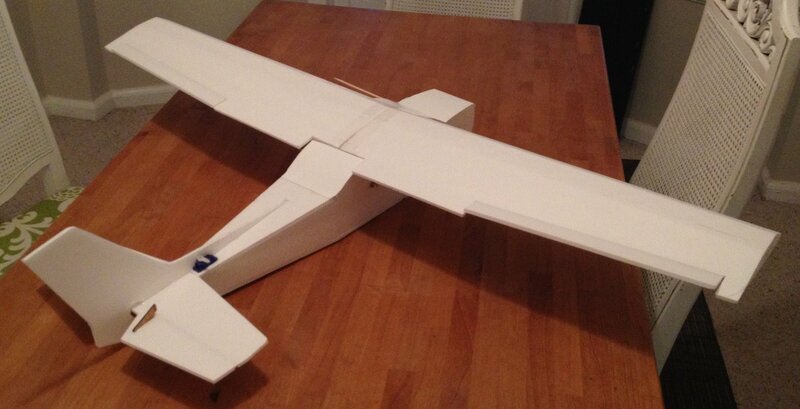 The wingspan is about 1100mm. I've stopped used the powerpod's locator pins, instead I just use a second skewer in the front and some foam to keep it centered. I also build in side and down thrust into the powerpod mounting plate. No rudder or landing gear. 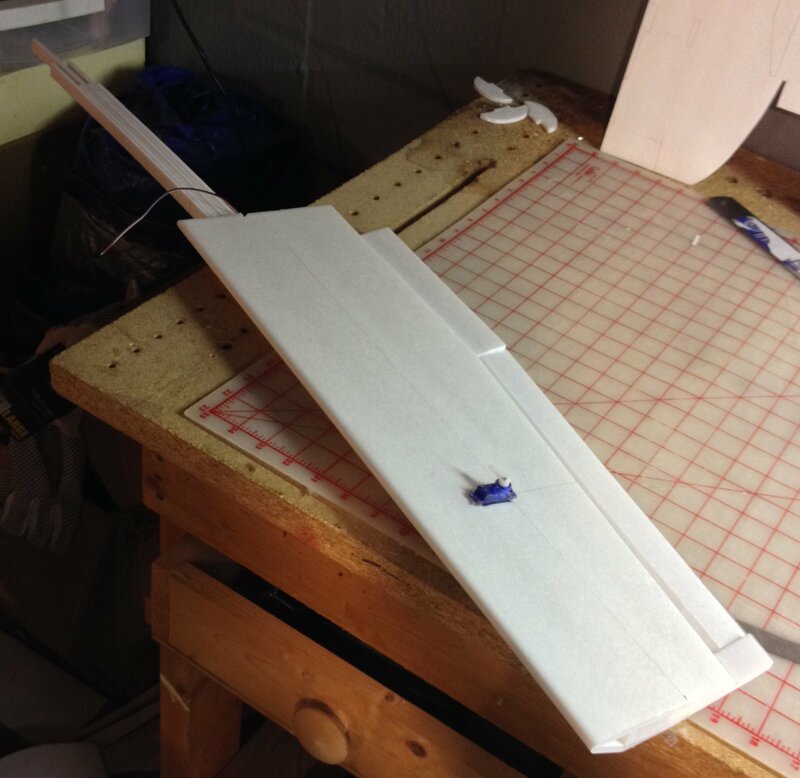 3 degrees of diehedral and the wing has a spar made from 6 strips of foam board which I have found holds up against high wing loading without failure. 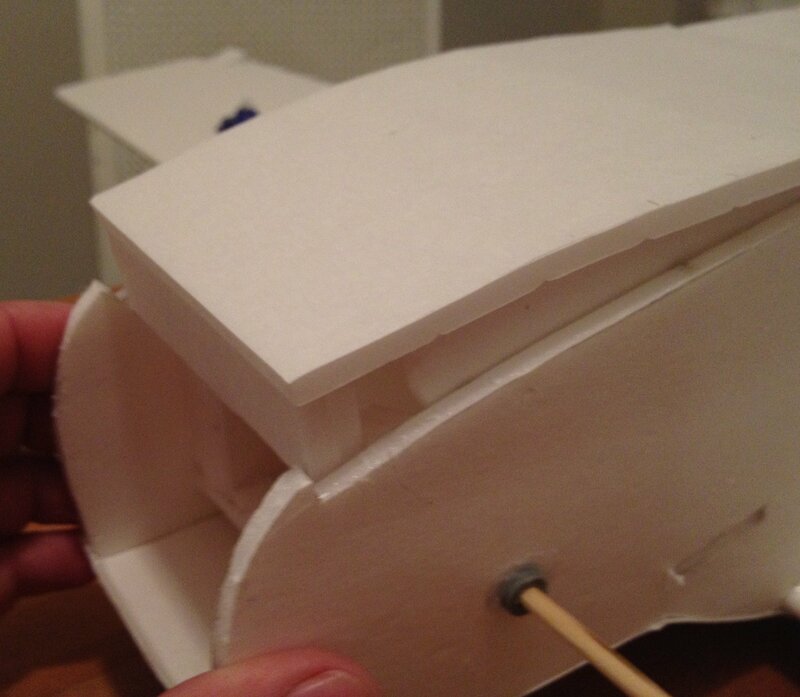 I'm going to add some faux struts too and draw on the windshields. Are those pop rivets that you are using to hold the skewers? 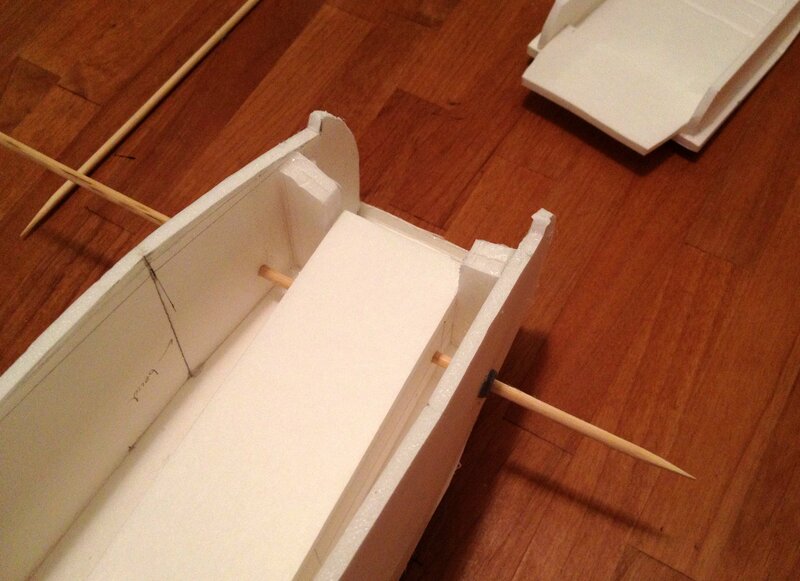 Whatever it is, it looks like a great solution to stop the skewers from ripping/damaging the foam board. Those are extra prop adapters. I pick the size that fits over the skewers that I use which are a little bigger than the FT skewers. Thanks! 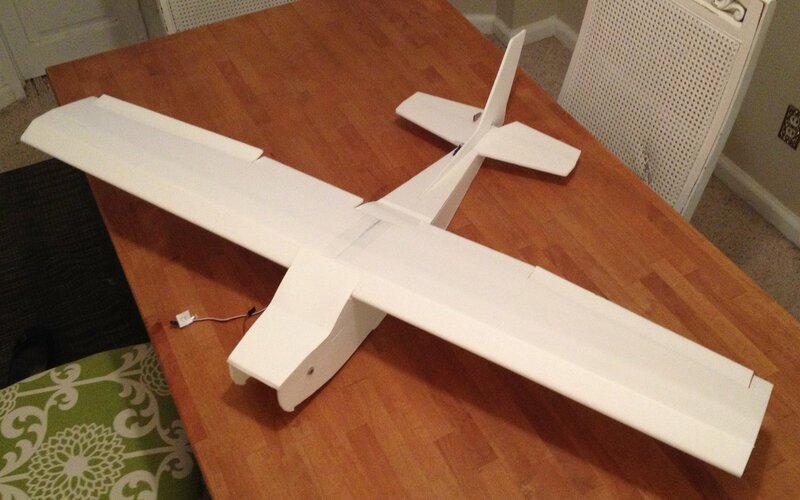 I can't wait to fly it. In the Cessna family of planes, the 150 or the beginners plane is my plane of choice. If I am corecct, the 152 is aerobatic in nature and easy to begin that kind of flying. 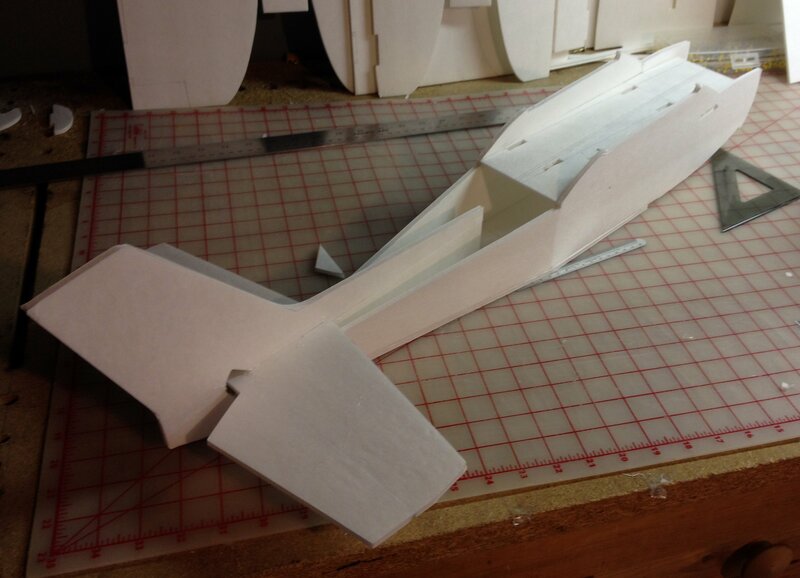 On some planes there is a little tab of metal that was rivited on the rudder and bent to help in small corrections. Almost have her finished up tonight. Have all the control surfaces set up and programmed in my radio. 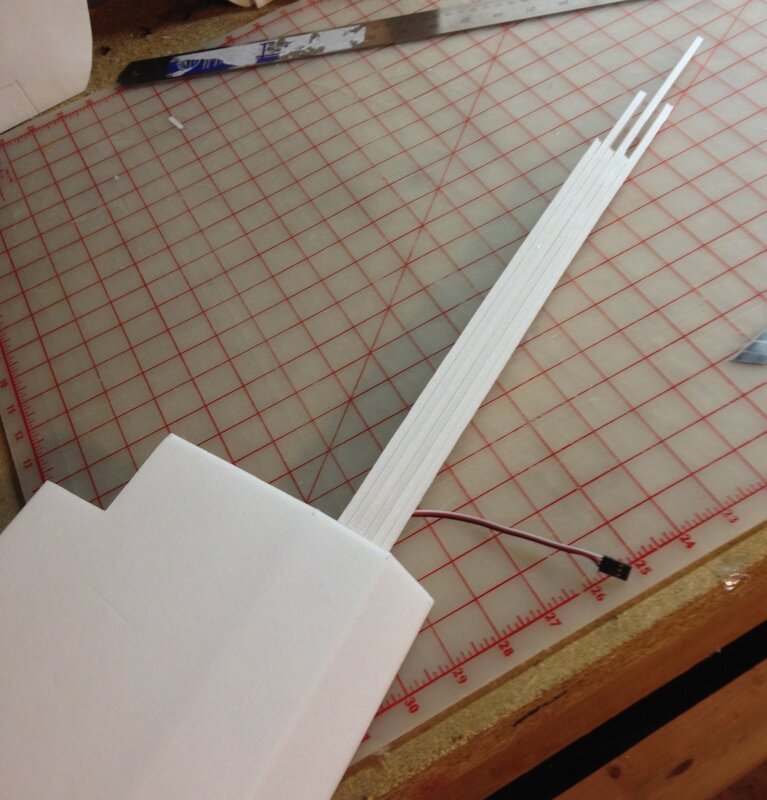 My aileron pushrods were putting a little bit of pressure on the servos so I put a bend in them. Other than that no real issues. 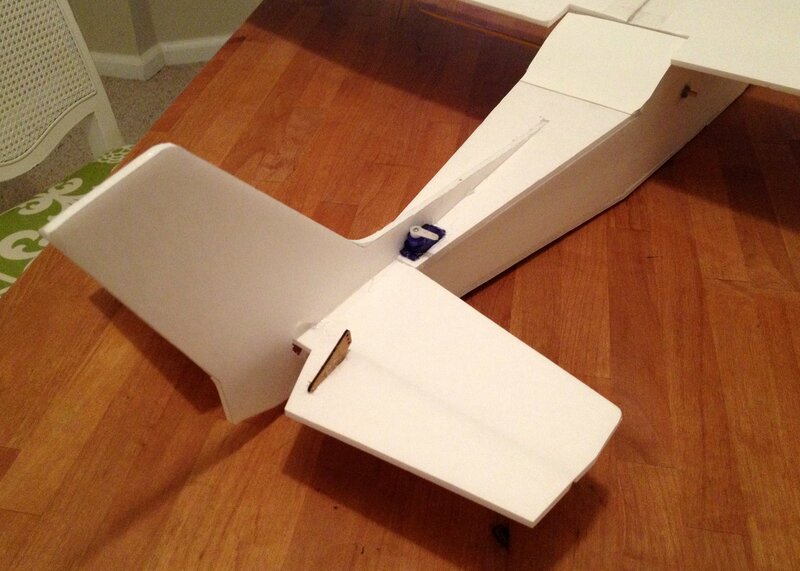 I would normally install the aileron servos inside, better aero and better looking. 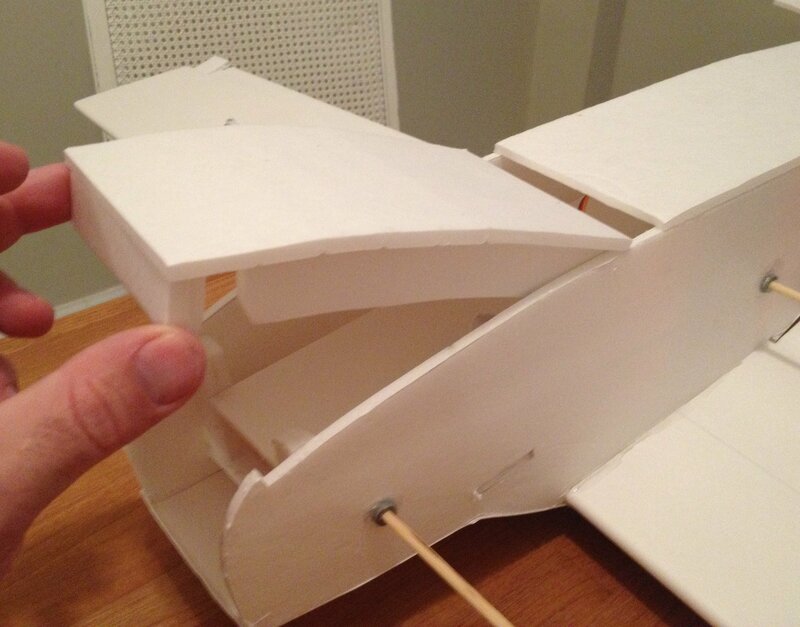 Some more pictures of the almost completed model. I'm going to add some colored tape for windows and maybe some pin striping next. A shot of the controls. I want to see what I can do so I have the throws pretty high. Also going to add struts but, just for looks. The spar in this is really strong. I usually just go on to the next plane before putting the time into making plans. I can post my 3d model. If this plane flies nice I might draw up some plans. 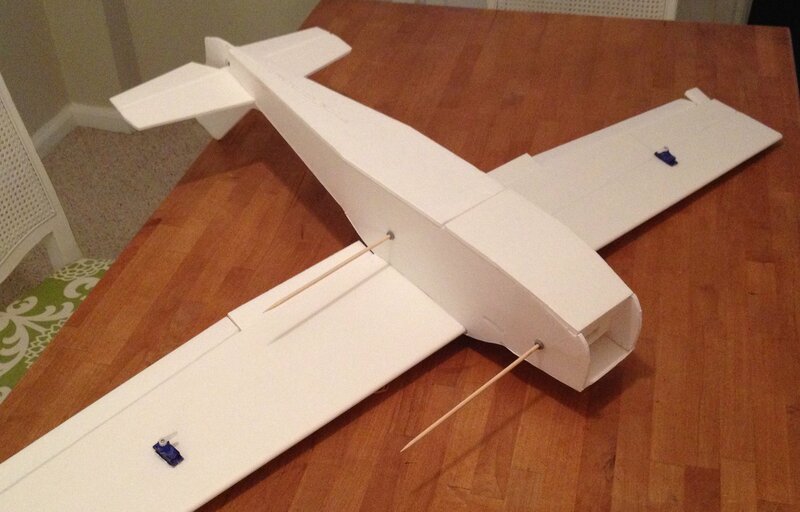 Excellent build Wes! 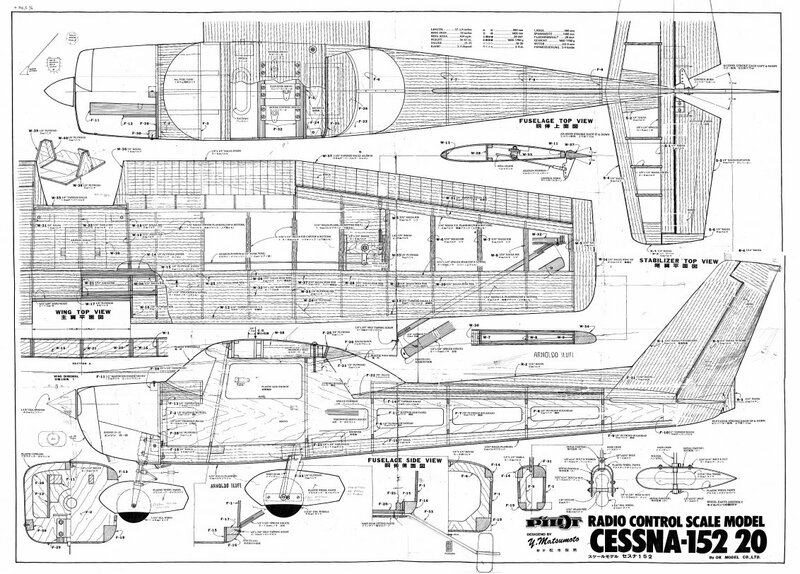 I have a few Cessna 172 plans sitting around, I might build one after all the Tercels are done. 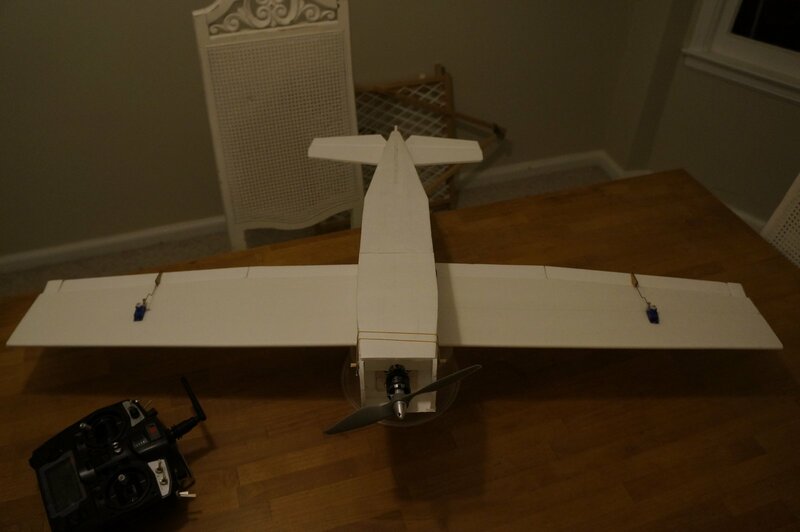 Flew her here in Michigan yesterday, very cold and window. She was a handful. When I let off the throttle she dropped like a rock. Really? Was it too nose heavy? 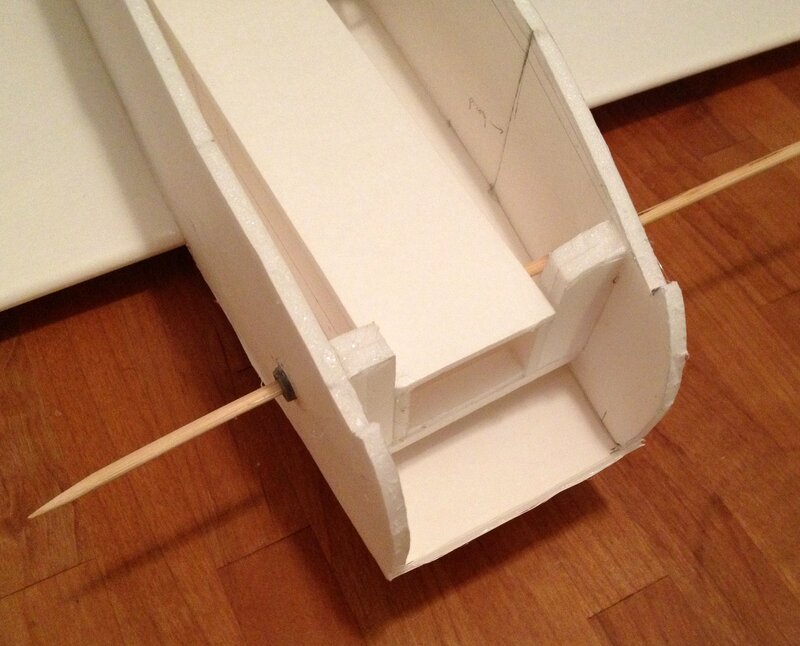 Looks like you've got a nice airfoil, it should be capable of generating some decent lift. I'm still a newbie, but it sounds like you might want to double-check the CoG. Oops! Scratch that! Let OFF throttle! Yeah, prob too nose heavy. Or, another possibility is that you need to add some down thrust to the motor. Did it tend to climb noticeably when you added throttle? If so, did you trim it out with down elevator under power? If so, it will dive when the throttle is reduced. Overall it was too windy to really take stock of the plane's flight characteristics. I'll have to check all that out on a calm day, hopefully before spring! I think I have 3 degrees down in it now. I'll have to play around with the CG. Thanks for the tips guys! My motor separated in flight. It gets quiet very fast. Hate it when that happens! Lost a 2370 motor once that way when it decided to continue on into the neighboring woods while the airframe chose to stay behind. Fortunatly the plane had a good glide slope, and came in deadstick with out too much trouble. From that I've learnerd to always loctite where you can and preflight where you can't!